Convocation at Samford University is an academic requirement that encourages students to develop spiritually and academically by providing programs that integrate faith and learning. The Office of Spiritual Life is the only official source of information pertaining to Convocation events, credits, and requirements. 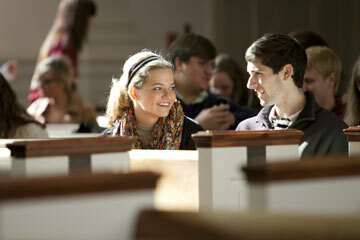 Samford’s Convocation program encourages students to develop both spiritually and academically by providing a variety of programs that seek to integrate faith and learning from a distinctively Christian perspective. As a graduation requirement for all undergraduate students, Convocation reinforces Samford’s identity as a Christ-centered university that nurtures persons “for God, for learning, forever.” Convocation programs do not attempt to coerce students to worship or embrace a particular set of beliefs. Rather, programs expose students to many perspectives, challenging them to think carefully about matters of faith and learning so that they may act responsibly in the world. Undergraduate students are required to complete 60 Convocation credits in order to graduate. 30 Convocation credits must be completed by the time a student earns 64 academic credits. Otherwise, that student will be delayed in the ability to register for classes the following semester. Convocation credit is earned when a student attends an approved event and swipes a valid ID card at the conclusion of the event. Students may not receive credit for attending repeating events more than once. 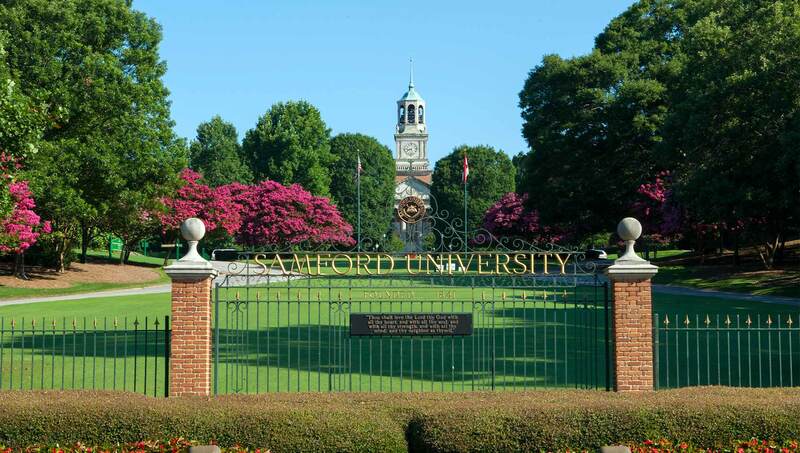 Students may check their Convocation record any time by logging into Samford’s online portal. Additionally, students receive weekly email updates listing all credits required and earned. If a student’s record is in error, that student may submit a Convocation Record Adjustment from within 30 days of the event in question to correct the error. Graduating seniors must submit all adjustment forms no later than two weeks prior to graduation. Convocation requirements are prorated for transfer students according to schedule below. Cadres are Convocation credit small groups led by faculty, staff, or selected students that meet at least 6 times during a semester to discuss a book, biblical text, specified topic, or to participate in a service project. Those interested in leading a Cadre may submit proposals online for review by The Office of Spiritual Life. Cadre sign-ups take place online during the first week of classes each semester. An email will be sent to all undergraduates announcing that students may log into Banner to access online Cadre sign-ups under the “Spiritual Life” tab.